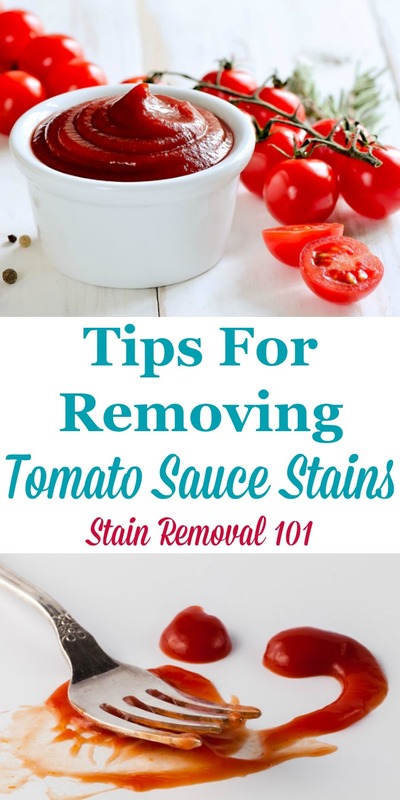 Here is a round up of tips for how to remove tomato sauce stains from many surfaces, including clothing, carpet and hard surfaces, plus a review of how various laundry and stain removal products worked on these sometimes tough spots. Lots of foods, from spaghetti, pizza, and more have tomato sauce as a main ingredient, and when this tasty sauce spills or splatters on something it can leave behind a messy spot or stain. Fortunately, there are lots of ways of removing these spots from your surfaces, as long as you act as quickly as possible, and you can find many of these ways listed below, as shared by readers who've told their best tips about a cleaning product, homemade remedy or technique for removal. 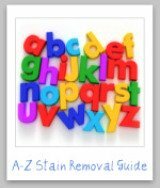 In addition, you can check out my tomato stain removal guide which provides step by step instructions that you can use as a resource. Spaghetti Sauce Set In Dryer - Now What? I love tomato sauce on pasta, on pizza, and all kinds of other food. It is a go to ingredient for my family in the kitchen, but the sauce seems to stain everything it touches. So what method do you use for getting tomato sauce and the stains it causes off of your clothes, your hands, your carpet, your couch, the plastic containers used for left overs, or anything else? What methods have your tried? What has worked? What hasn't? 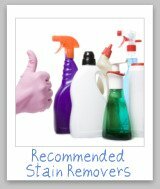 Is that miracle stain remover really effective on tomato stains like it claims? Share your stain removal tips with me, to say what worked for you, or what didn't, including what homemade or commercial stain removers you used to accomplish the task. 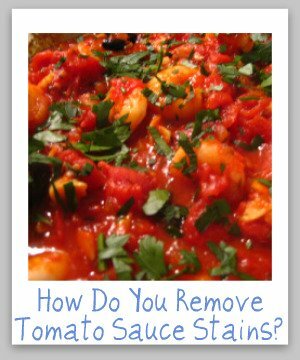 Do You Have A Tip For Removing Tomato Sauce Stains? 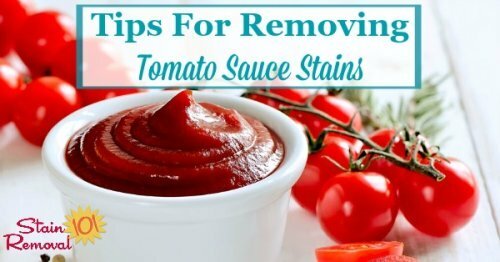 Do you have any great tips for removing tomato sauce stains from clothes, upholstery, carpet, plastic ware, or anything else? 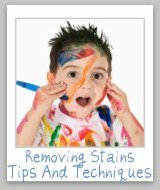 Feel free to share instructions for how you removed the stain, and what homemade or commercial supplies or stain removers you used to accomplish it. In addition, you can also share what did not work for you to allow us to steer clear of those pitfalls. 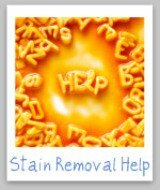 Click on the links below to see what other readers have shared about their tomato sauce stain removal tips and techniques.